During this past holiday season I went to see Les Miserables twice. As I sat there the first time, I was consumed by the musical production. My tree of emotions shook, leaving my heart and soul stirring with ponderings. The second time did not spare me emotionally, but I had moments where I flashed back to 1978. In that year on a rainy quiet night, I was introduced to Jean Valjean, Carol and a deeper aspect of myself in the darkness of my hospital room. 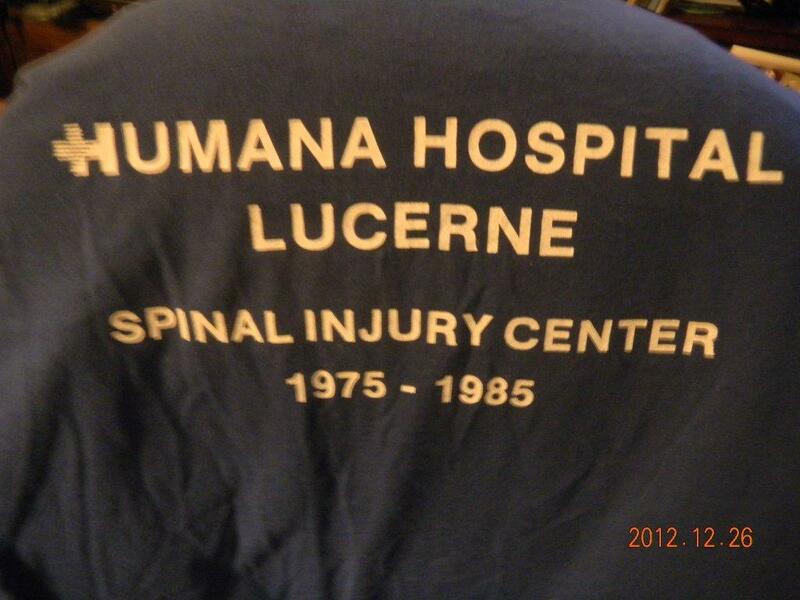 Those of you who have been reading my blogs know that seven month of 1978 were spent in a rehabilitation center for spinal injury. It was a time of grace filled transformation for me. My ego learning to ride in the back seat like Miss Daisy as I learned to allow my soul to drive me ~ most often. At the time on television Les Miserables was being advertised for weeks, and the buzz had me captured ~ not being familiar with the story. Around the same time I was in happy anticipation of a new roommate. In the wee hours, when one never sleeps because of a variety of interruptions, it is comforting to have someone to share with ~ the raw and the wonderful. So, late afternoon at the end of my long day of various therapies, I was wheeled to my room. There seemed to be a frantic flurry of activity as my new roomy was settling in with the help of nurses and her mother. I stayed in the hall until things calmed down, and a nurse wheeled me in at the appropriate time to introduce me to Carol and Dorothy. Before I could close my mouth from my welcoming greeting, mother Dorothy informed me that her daughter Carol had a traumatic brain injury as well as fractured limbs, and limbs impaired from the brain damage ~ all due to a violent car crash. Dorothy, a very proper sort, sighed, and wiped an escaped tear off her cheek before she continued. As she told me about Carol, she really did not acknowledge her daughter, and by the eye action of my new roommate it was obvious to me that this offended Carol. I learned from the conversation that the only words Carol could say were “no” and “ok,” and a hardy NO was usually her preference ~ so said Dorothy. In a half hour a short narrative was delivered about her daughter prior to the accident. I was impressed to learn that Carol spoke seven languages, and travel the world to “dabble” in her culinary interests, and she was a reader of “the classics.” Dorothy made sure that I knew that they were “upper crust.” As she looked me over I assumed that she determined that I was just “crust.” I knew by this point that on this floor, we were all apart of the same pie ~ upper crust, lower crust or filling ~ made no difference. Dorothy left early, and shortly after dinner I was going to figure a way to communicate with Carol. She had one hand that still had movement, and I had a voice, so we were off to a good start. I also found out by over hearing the nurses, that she would have violent temper tantrums ~ due as well from the brain injury. We were put together by a Higher Power, so my curiosity was set on high. Why? So, after dinner, we had a chat based on the old television show “What’s My Line.” I would ask the questions, and she would answer “OK” or “No.” She was game, so I began. “OK, OK, OK!” She was happy; she had someone to confide in at last. And I was happy to help her tell her story. And, by my tone ~ she knew no judgment was in my heart. A friendship was being made, and it was evident that she was craving one. Laughing, she responded. “OK!” And the bond happened that first night with a sense of the Divine’s purpose. Carol was in charge of the television remote, since she had the only functional hand between us, and as we waited we chatted. By her excitement I figured she had read the book. So, I asked. “Ok, mmmmmmmm, no.” Her response puzzled me at first, but knowing a bit of her interests from Dorothy, I figured it out. “OK, OK!” With that, she held up three fingers, and I understood she read it three times, and she was proud and happy to have made it known. It came time for the movie, and we both reacted to the intensity with the same emotions. Along the way, I asked questions that required yes or no answers, and Carol had no problems recalling the story. The next morning she, her mother and the neurologist were going to have a consultation. The nurses were going to wheel me out, but Carol started to show her temper. She wanted me to stay, and after the consult started ~ I understood why. The doctors prognosis was a bit grim. He felt her speech had little chance of comeback, and felt Carol had little comprehension, so he directed everything to Dorothy. I was not allowed to add my opinion, but now I understood Carol’s frustration. They knew little about the brain damage she encountered, and chose to give little hope to any big changes. So, when the therapist would come to read her charts, they thought they did not have much to work with, when it came to speech. The doctor and Dorothy took the conversation out to the hall. Carol was frustrated, and her tears motivated me. “Listen Carol, I am not a neurologist, but in two days I know you have more than a few remnants upstairs. We will help each other. You push me, and I will push you. We will only think the best, and we will drive them all crazy. And, when you have those uncontrollable tantrums, we will look at them as healing tremors. She smiled her sweet crooked smile, and her eyes filled with determination. This entry was posted in Uncategorized and tagged anita skocz, brain injury, friendship, hope, love, service. Bookmark the permalink.